President Obama’s choice to lead the Federal Motor Carrier Safety Administration (FMCSA) has created a firestorm of criticism from labor and safety advocacy groups. 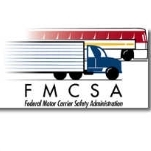 FMCSA, which is part of the Department of Transportation, is charged with creating regulations and safety initiatives to be used in cooperation with states, to improve the safety of commercial vehicles, especially trucks. Trucking companies, labor unions representing truckers, and safety-oriented consumer groups are the main constituents seeking to influence FMCSA. Anne S. Ferro, who was sworn in as FMCSA administrator on November 13, 2009, had spent the previous six years leading a trade association of trucking companies, the Maryland Motor Truck Association, a history that has the Teamsters Union and the Truck Safety Coalition crying foul and criticizing her selection. These groups are particularly critical of Ferro’s previous support for a Bush administration relaxation of “hours of service” regulations that would allow trucking companies to require drivers to drive for as long as eleven hours straight, which they view as an unsafe practice. Nevertheless, in late October 2009, FMCSA agreed to abandon the new rules. Born in Maryland circa 1958, Ferro grew up in Larchmont, New York, the daughter of Don and Marybelle Schanche. After graduating high school, she worked as a stable hand in California and Wyoming. After traveling abroad with her parents (her father headed The Los Angeles Times Cairo bureau), Ferro returned to Maryland for her studies. She earned a B.A. from St. John’s College in Annapolis, Maryland, in 1980, and immediately became a Peace Corps volunteer in Côte d’Ivoire. Upon her return to the U.S., Ferro earned a Master’s in Public Management from the University Of Maryland School Of Public Policy. 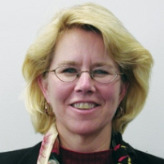 She did stints in economic development at the Tri-County Council for Southern Maryland and served six years with the Maryland General Assembly Department of Fiscal Services (now the Department of Legislative Services), where she staffed the House Ways and Means Committee, from 1986 to 1992. In 1992, Ferro took a job as Associate Administrator of Vehicle Services at the Maryland Motor Vehicle Administration, and was appointed Administrator in 1997. In January 2003, Ferro was briefly fired by incoming Republican governor Robert Ehrlich, who wanted to appoint a Republican to her post, but the outcry from the Maryland General Assembly resulted in her hasty re-appointment. Nevertheless, Ferro left government early the following year to become President of the Maryland Motor Truck Association, a trade association representing Maryland trucking companies. Ferro and her husband, Dan, have two children and reside in Annapolis, Maryland. Since 2004, Ferro has donated $2,000 to the American Trucking Association’s political action committee.